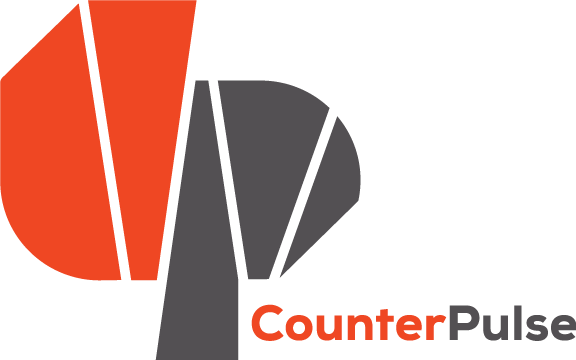 CounterPulse offers a rotation of supported artist residencies each year spanning different ways of making. Each residency concludes with a fully produced work on stage at CounterPulse. Edge is an incubation residency and commissioning program for contemporary choreographers whose work is deeply curious about the intersection of art practice and social change. Through work-in-progressing showings, discourse events, and culminating live performances, this program is a platform for investigating relevancy and creating new knowledge. By eliminating boundaries between disciplines, between artists and audience, and between communities, Edge produces innovative performance works with transformational potential. This program is made possible by support from the Ken Hempel Fund for the Arts, the Kenneth Rainin Foundation, the Zellerbach Family Foundation, and the National Endowment for the Arts.